In a fairly small office at work (20 people) there are two people who have an intolerance to milk. I’m not sure whether that number is higher than average, but the number of milk alternatives being advertised certainly leads me to think that a lot of people have an issue with milk. Hotel Chocolat has developed a milk chocolate that is milk free, i.e. it uses almond milk instead of dairy. I had the lovely opportunity of giving it a taste test in the form of this rather smart Goose Egg. 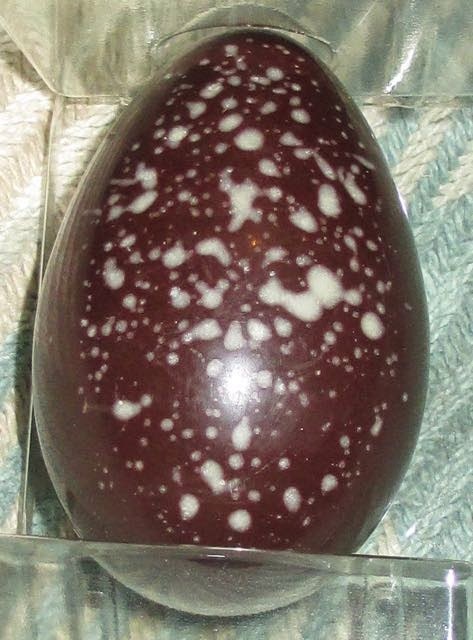 The egg is very smartly packaged, showing off the chocolate. Inside the box there is a lightly marbled egg and a very generous bag of buttons. 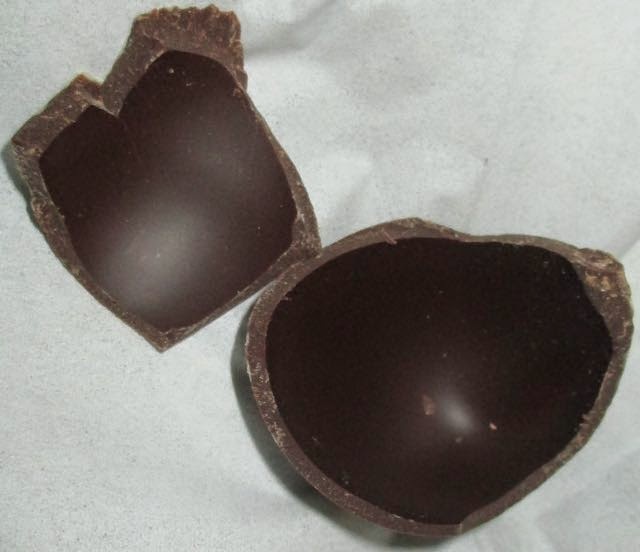 The egg is quite thick and took a bit of effort to break. I started tapping it on the table but ended up firmly knocking it against a slate tile! :-D Better that way though. The taste of the chocolate is very impressive. I found it quite dark for a milk chocolate, and it reminded me of the Super Milk that Hotel Chocolat has recently released. The flavour is very good, the rich tones of the cocoa were very tasty and the chocolate was just sweet enough. 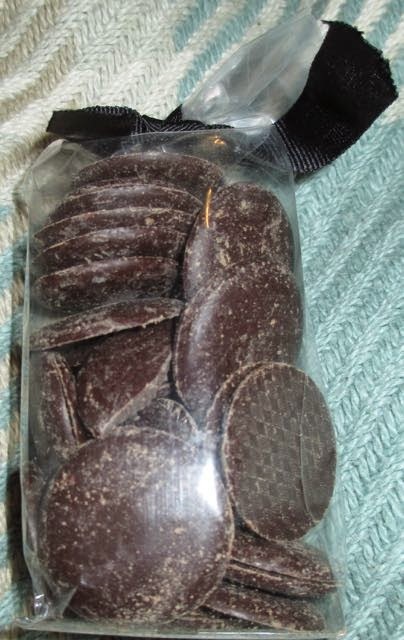 The buttons were a nice addition too, and I was enjoying allowing them to melt on the tongue. The only tell I could spot that the chocolate was different was in the texture. The chocolate felt very slightly thicker in the melt and the texture wasn’t as silky as normal. It is a minor comment really, something you’d only notice if you were looking for the differences. To be fair, to say this chocolate is dairy free it is way ahead of any of the others I’ve tried, as it manages to maintain that luxury. 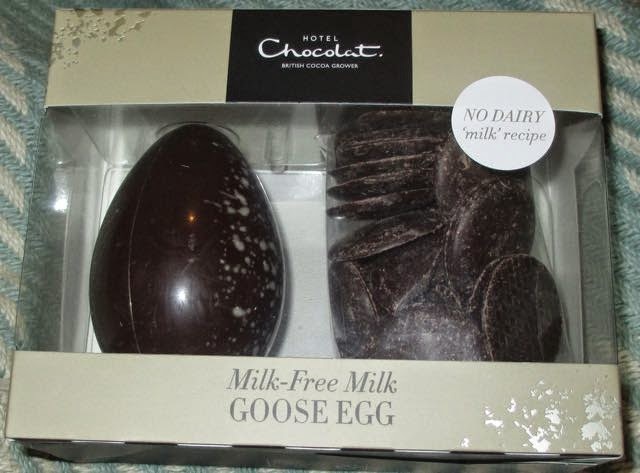 This the perfect Easter gift if you know someone who thinks they can’t eat dairy chocolate, it will make their day. If you have an intolerance yourself there are actually several goodies at Hotel Chocolat utilising this new recipe, so it is defiantly worth having a look.